The Conversation Global’s new series, Politics in the Age of Social Media, examines how governments around the world rely on digital tools to exercise power. Privacy is no longer a social norm, said Facebook founder Mark Zuckerberg in 2010, as social media took a leap to bring more private information into the public domain. But what does it mean for governments, citizens and the exercise of democracy? Donald Trump is clearly not the first leader to use his Twitter account as a way to both proclaim his policies and influence the political climate. Social media presents novel challenges to strategic policy and has become a managerial issues for many governments. But it also offers a free platform for public participation in government affairs. Many argue that the rise of social media technologies can give citizens and observers a better opportunity to identify pitfalls of government and their politics. As government embrace the role of social media and the influence of negative or positive feedback on the success of their project, they are also using this tool to their advantages by spreading fabricated news. This much freedom of expression and opinion can be a double-edged sword. On the positive side, social media include social networking applications such as Facebook and Google+, microblogging services such as Twitter, blogs, video blogs (vlogs), wikis, and media-sharing sites such as YouTube and Flickr, among others. Social media as a collaborative and participatory tool, connects users with each other and help shaping various communities. Playing a key role in delivering public service value to citizens it also helps people to engage in politics and policy-making, making processes easier to understand, through information and communication technologies (ICTs). Today four out of five countries in the world have social media features on their national portals to promote interactive networking and communication with the citizen. Although we don’t have any information about the effectiveness of such tools or whether they are used to their full potential, 20% of these countries shows that they have “resulted in new policy decisions, regulation or service”. Social media can be an effective tool to trigger changes in government policies and services if well used. It can be used to prevent corruption, as it is a direct method of reaching citizens. In developing countries, corruption is often linked to governmental services that lack automated processes or transparency in payments. Can new technologies increase government accountability? India was ranked 79th on 176 countries by Transparency International in 2016. The UK is taking the lead on this issue. 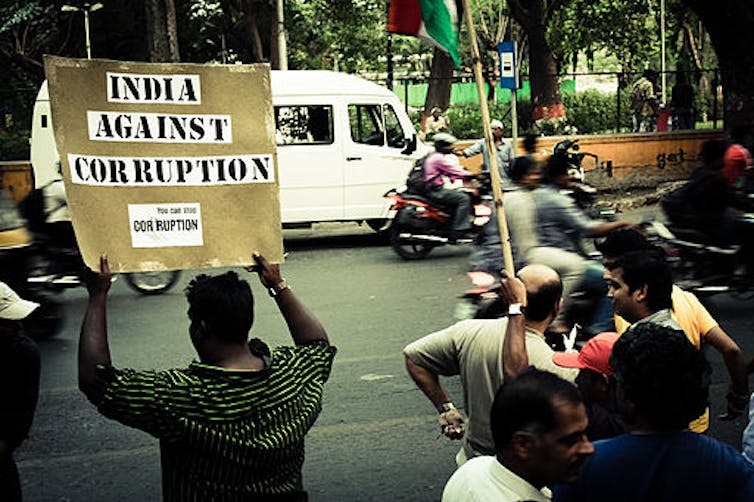 Its anti-corruption innovation hub aims to connect several stakeholders – including civil society, law enforcement, and technologies experts – to engage their efforts toward a more transparent society. With social media, governments can improve and change the way they communicate with their citizens – and even question government projects and policies. In Kazakhstan, for example, a migration-related legislative amendment entered into force early January 2017 and compelled property owners to register people residing in their homes immediately or else face a penalty charge starting in February 2017. Citizens were unprepared for this requirement, and many responded with indignation on social media. At first, the government ignored this reaction. However, as the growing anger soared via social media, the government took action and introduced a new service to facilitate the registration of temporary citizens. Increasing digital services have engaged and encourage the public to become more socially responsible and politically involved. But many governments are wary of the power that technology, and most specifically smart media, exert over how citizens’ political involvement. Popular social media platforms like Facebook, Twitter and WhatsApp are being censored by many governments. China, South Africa and others are passing laws to regulate the social media sphere. Availability of Youtube.com as of May 2016. May be incomplete or incorrect due to lack of information. The dominance of social media allows citizens to have quick access to government information – information whose legitimacy may not be validated. As this happens, the organic image formed in their minds will be affected and changed and an induced image, whether negative or positive, will be formulated. For example, the top trending topics on social media right now are related to a tweet from Wikileaks claiming that CIA can get into smart electronics – like iPhones and Samsung TVs – to spy on individuals. 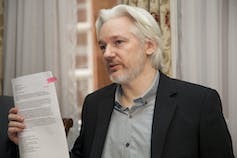 This series of revelations led Wikileaks founder Julian Assange to see his internet access cut off, allegedly by the government of Ecuador, in October 2016. For his supporters, this step jeopardizes what they perceive as the voice of truth. WikiLeaks usually spread a mass of sensitive and reliable information into the public domain about politics, society and the economy. Others state that confidential information should not be published in social media because it might endanger life and could be misinterpreted. In 2011, social media played a crucial role in the direction of the Arab spring in Egypt, Tunisia, and Libya, enabling protesters in those countries to share information and disclose the atrocities committed by their own governments. This ignited a “domino effect” that led to mass revolts. Governments reacted by trying to impose draconian restrictions on social media, from censorship to promoting fake new and propaganda against them. 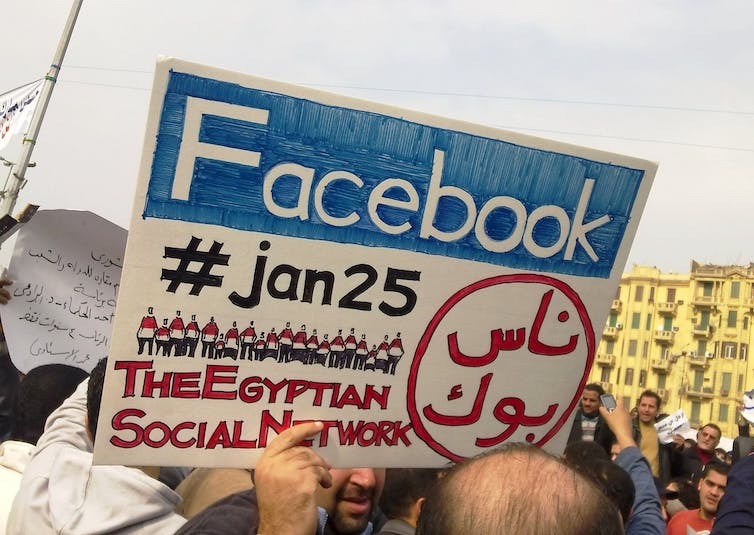 Social networks played a vital role in initiating Egypt’s 2011 uprising. The dissemination of uncensored information through social media has precipitated a wave of public shows of dissatisfaction, characterized by a mix of demands for better public services, changes in the institutions and instating a socially-legitimated state. Citizens use social media to meet up and interact with different groups, and some of those encounters lead to concrete actions. But the campaigns that result do not always evolve into positive change. Egypt and Libya are still facing several major crises over the last years, along with political instability and domestic terrorism. The social media influence that triggered the Arab Spring did not permit these political systems to turn from autocracy to democracy. Brazil exemplifies a government’s failure to react properly to a massive social media outburst. In June 2013 people took to the streets to protest the rising fares of public transportation. Citizens channeled their anger and outrage through social media to mobilize networks and generate support. The Brazilian government didn’t understand that “the message is the people”. Though the riots some called the “Tropical Spring” disappeared rather abruptly in the months to come, they had a major and devastating impact on Brazil’s political power, culminating in the impeachment of President Rousseff in late 2016 and the worst recession in Brazil’s history. As in the Arab Spring countries, the use of social media in Brazil did not result in economic improvement. The country has tumbled down into depression, and unemployment has risen to 12.6%. 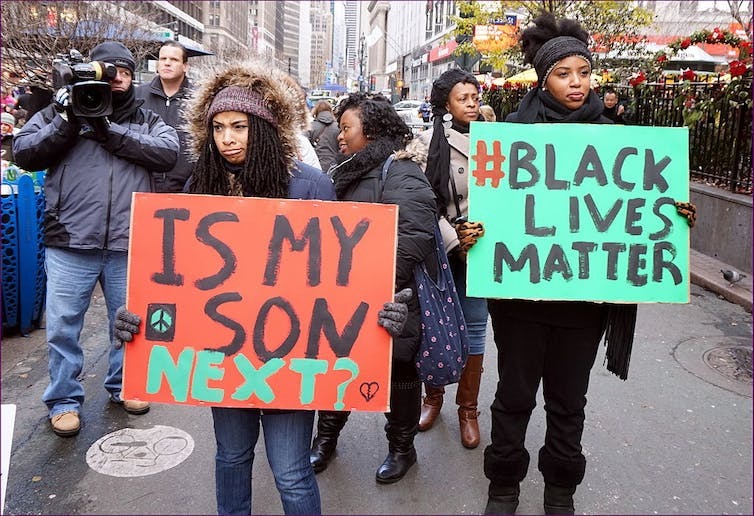 The movement #Blacklivesmatter has grown immensely on social media. Social media is also used to propagate “fake news” in order to destabilize an organization or a country. The spread of disinformation through social media shows how governments can use the art of communication to channel specific facts to their own citizens – or to the world. In 2014, Russia spread conspiracy theories and fake stories, both during the Crimea crisis and the downing of Malaysia Airlines Flight 17 , to hide its military involvement in Ukraine. More recently, the Kremlin (or its agents) manipulated social media to spread “fake news” and pro-Trump messages during the American presidential election. The objective of this digital disinformation campaign was to shake the American political system, rather than to change the results of the election. Social media also provide a powerful platform for extremism and hate speech, citizen activities that should compel government action. Social media may have been used for extreme purposes, to topple presidents, spread calumny, and meddle in internal affairs of foreign countries. But it remains a potent technological tool that governments can use to capture and understand the needs and preferences of their citizens, and to engage them, on their own terms from the very beginning of the process as agencies develop public services. Government typically asks “how can we adapt social media to the way in which we do e-services, and then try to shape their policies accordingly. They would be wiser to ask, “how can social media enable us to do things differently in a way they’ve never been done before?” – that is, policy-making in collaboration with people.